Hiya! What do you get when you go chimney sweeping at Some Sort Of Troper's house? 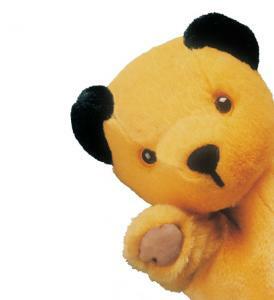 You get Sooty! Sometime when you get the flame of hope, you get the smog of confusion which needs to be cleared out so that we can move on. So that we can keep working on the tropes that form the brickwork of storytelling, Sooty is going to be telling you what the Some Sort Of Troper gang is going to be up to. Lined up DVD spine art. Interesting links like "New edit reasons"
Change to Lost and Found? You know you can collapse YKTTW entries to just the title? We now have a tool for seeing all editors on one page. Is Madrugada a full mod yet? Is offsite use more important than on site use ? Wallet of Holding aversions on the discussion page.